Raicilla (pronounced RAI-SEE-YA) is a mezcal that has been produced in the state of Jalisco for over 400 years. In the 1780's artisans who crafted their mezcals adopted the name Raicilla to avoid a tax levied by the Spanish Crown. They convinced the tax collectors that Raicilla is not a mezcal and were able to avoid the tax. Most people have little knowledge of Raicilla because the world't most famous mezcal, Tequila, became so popular that it overshadowed the other mezcal production in the state of Jalisco. Jalisco offers a great diversity of agave species, second only to Oaxaca. For this reason, along with the diverse terroir, equipment and technique, Raicillas, offer an amazing journey of flavor and history. 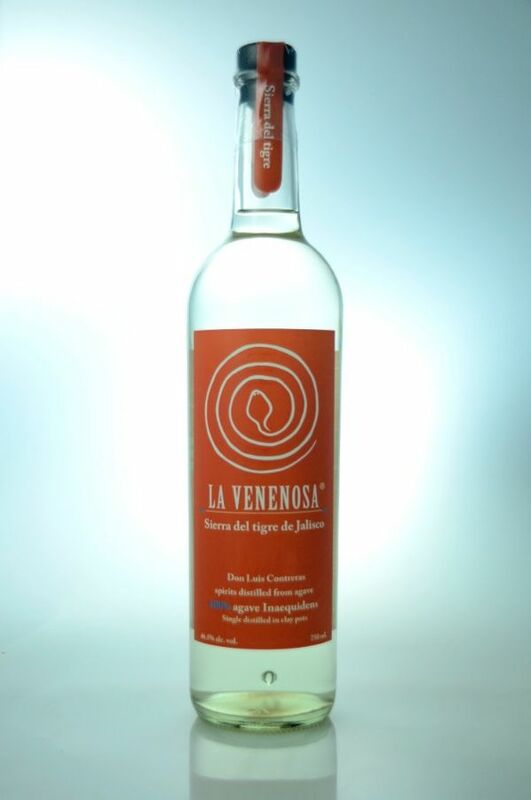 La Venenosa Raicilla, was created four years ago, by Chef Esteban Morales, to bring these hidden jewels to market. Esteban crisscrossed the state in search of the best producers in each region. The results today are 4 unique Raicillas made by 4 different Maestro Taberneros from 4 different regions of 4 different species of agave using 4 different techniques. La Venenosa Sierra del Tigre is very rare. Production is limited to 700 liters per year. The nose has a striking cheese quality and tastes like chocolate covered cherries.